Forex Brokers in South Africa. Find The Best Regulated Brokers To Trade. One of the most important relationship you have in forex trading will be with your broker. Most of the forex brokers listed beloware great for beginners traders & some only require a small minimum deposit to start trading. This is ideal for those traders who wish to practice learning trading. It takes a long time to master and perfect the art and its better to try with a small account, which you can afford to lose then with a large trading account. Others offer free training and regular webinars to help with your education and to understand what the market is doing at the moment. More advanced traders looking for ECN, STP or NND brokers can find them here too. Their offers include narrow spreads, free Forex VPS services to qualifying traders or trading via an API for lightning fast connection to the trading servers. JP Markets - Local lad opens his own brokerage, offices mushrooming up over the land. I'm interviewing for a job there., wish me luck). 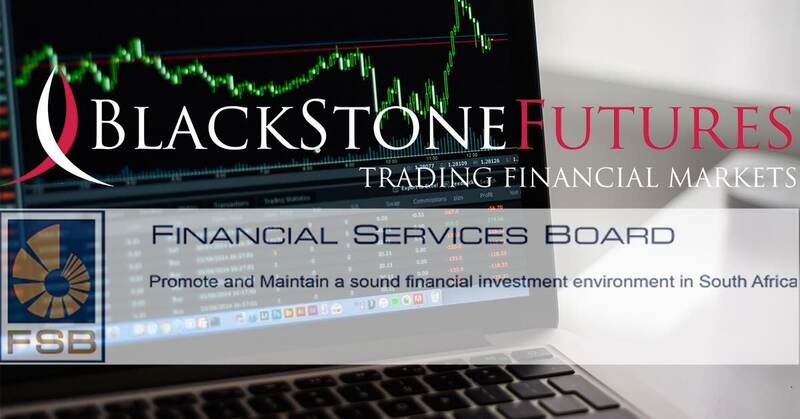 Blackstone Futures - Johannesburg based STP broker, I've a copy trading account with them that you may be interested in. FxPrimus - Recently received their FSCA license, opened an office in Sandton City and now have an FNB account for faster deposits and withdrawals for South African traders. AVATrade - New Offices in Sandton, a global broker with a local presence. Markets.com - Newly regulated in South Africa. A European powerhouse. AxiTrader - The first broker I started with. FX Giants - Bitcoin denominated accounts, not many other brokers offer this. eToro - One of the biggest and best social trading network so its not really a broker. Going places. Mt. Cook - Boutique broker from Australia with an FSB regulation. Blackwell Global - I'm about to get a test account, so I'll know more soon. Swiss Markets - Got some interesting STP account types with various spreads and commissions as you grow. BDSwiss - Forex & Binary Options and trade on weekends too. Hot Forex - Opened an office in SA recently, Making waves. Forex Time - What a name, they are FSB regulated though. JustForex - Just do it, if you must. The market continued to monitor US – Chinese trade negotiations and the dollar spent most of the day weaker against the major currencies. It is understood that the US are confident that a settlement on trade with China is likely, but there is going to have to be far reaching structural changes and compliance which will prove to be more challenging. US President Trump criticized Fed’s policy on interest rate hikes yesterday, contrary to Fed Chair Powell’s testimony on Tuesday’s Semiannual Monetary Policy Report where he supported Fed’s gradual approach to hiking. Read more about FXPRIMUS here. If you're already clued up on crypto we'll show you how to use Bitcoin to fund your JP Markets trading account. Bitcoin is the best known of all cryptocurrencies and has received the most investment so far. It's mainly used as an investment, but it hopes to become a widely used currency. Markets.com Review. Stop & Read This BEFORE You Trade! What will happen if Italy decides to leave the EU, what would the impact be on the Euro? Jose Ricaurte Jaén.